If you have a leash reactive dog, going for a nice, quiet walk with your dog doesn’t happen except at 2am when no one else is on the street. 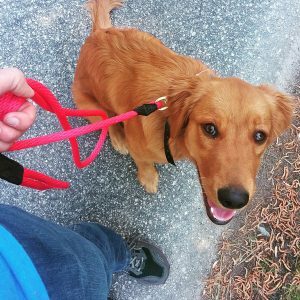 Leash reactivity creates a smaller and smaller world for your dog because it seems impossible to have a good walk with your dog. Leash reactivity can be fixed, and it doesn’t take months and months. 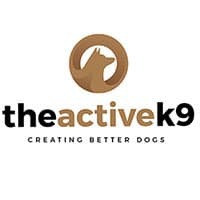 By using effective training tools, using distance to limit the pressure on your dog, correcting your dog at the first sign of arousal on the walk, and advocating for your dog if another dog approaches, you can quickly get leash reactivity under control. Effective dog training tools are critical for leash reactivity. Your training equipment matters. It makes a difference in how you can easily and clearly communicate with your dog. We recommend using prong collars and e-collars. These tools allow for quick and clear communication that your dog understands. Here’s a video of how I introduced Buddy to the prong collar. When you’ve introduced these tools to your dog and are ready to start working on that walk, use distance to help your dog. If you can, cross the street to create more space between yourself and other dogs until your dog becomes more comfortable on the walk. Correct at the first sign of arousal. Your dog sees another dog. His ears perk up, his forehead wrinkles, his breathing pauses, his body posture gets larger. All these are signs of arousal and excitement spinning a dog up to an explosion of leash reactivity. As soon as you see the first sign, give a quick leash pop or e-collar correction to let the dog know he needs to relax. Once the explosion happens, you’re too late. Here’s a video of Wiggles, a leash reactive dog, and how I time corrections on her. If another dog tries to approach your dog while on the leash, shield your dog behind you and ward off the approaching dog. You never know if another dog is friendly (even if the owner says so), or if the dog will attack your dog. It’s always best to be proactive and ward the approaching dog away. You will prevent any possible conflicts between the dogs, emergency vet visits, and even more leash reactivity as an after effect. If you are struggling with getting past leash reactivity, we can help. Take a look at our training programs and prices for more details.